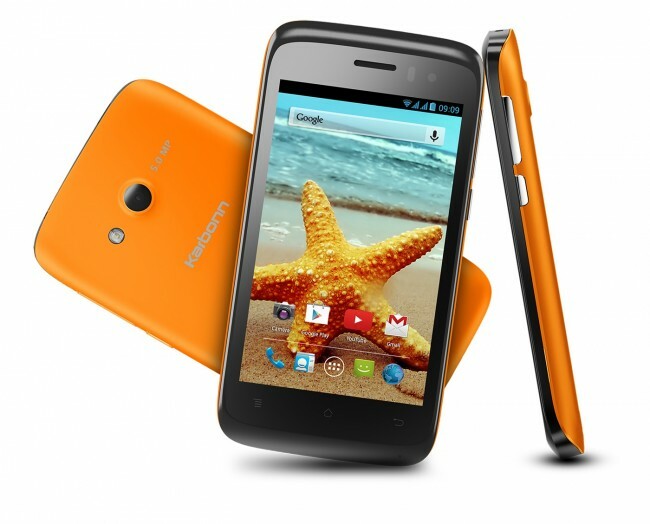 Karbonn has just released a new budget Android smartphone, the Karbonn Titanium S1 Plus. The new budget offering from the Indian manufacturer packs in some decent specifications for its price but the competition, as we all know has become a lot tougher. Let’s divulge into Titanium S1’s specs to know more about it. Shall we? The Karbonn Titanium S1 Plus features a 4-inch IPS display of WVGA (800x480p) resolution. It’s powered by a 1.2 GHz Quad-core Snapdragon 200 processor with Adreno 302 GPU. There’s 1GB RAM, 4GB internal storage with microSD expansion up to 32GB. The Karbonn Titanium S1 Plus features Dual SIM connectivity with one of the SIM slots supporting 3G connectivity. Other connectivity options include WiFi 802.11 b/g/n, Bluetooth and GPS along with the usual array of sensors like G-Sensor and the Proximity & Light Sensor. The Titanium S1 Plus is already available in India for a price of Rs. 6,490. At Rs. 6,490, the Titanium S1 Plus competes with the likes of the very popular Moto E, the recently launched Micromax Unite A092 and one of Micromax’s very first Windows Phone device, the Canvas Win W092. Yes, the competition is pretty tough for the Titanium S1 Plus, so let’s compare and see if Karbonn’s offering manages to rise against the. The Karbonn Titanium S1 Plus faces a lot of stiff competition at its price range, as we can see above. The Moto E offers promised future updates, better design, bigger battery and bigger higher resolution display while Micromax’s devices offers more storage and a new Windows Phone option. The Titanium S1 Plus does not really stand out against the Micromax’s devices, as the specs are identical but for the storage and while Moto E’s specs trump it, it sure beats the Moto E (atleast on the paper) when it comes to the camera. It’s for you to decide but if I were you, I would go with the Moto E.